High Quality, organically raised, pastured protein. Pastured chickens are amazing. Our birds get fresh pasture twice a day, free-choice, organic grain, and all the bugs they can catch. In other words, they get to live like chickens. They're big and meaty and excellent any way you prepare them. Completely free range eggs are delicious. The yolks are dark orange, the flavor is good, clean, and savory. 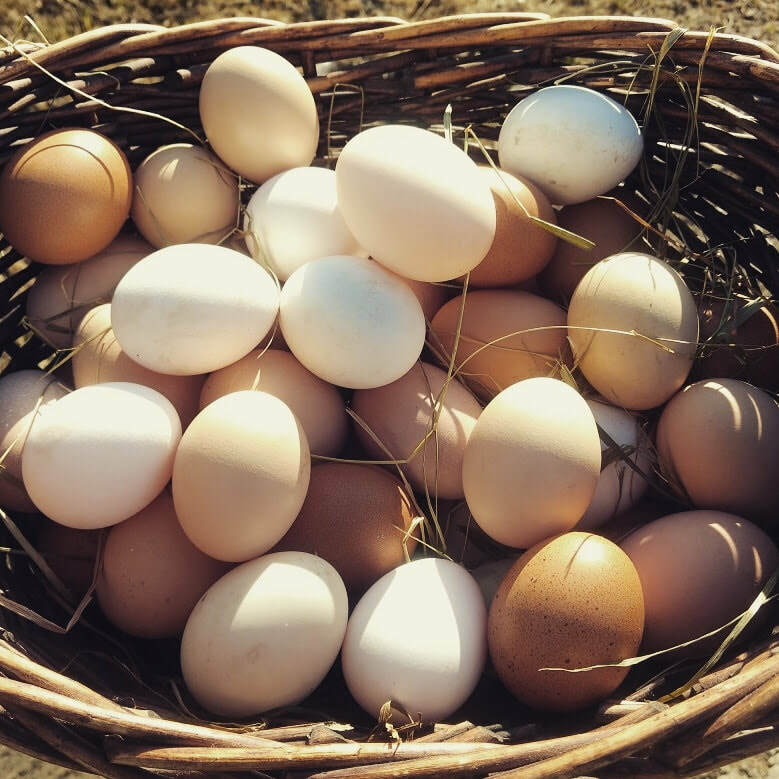 And pastured eggs are far more nutritious than any other kind of egg. Check out his article to learn more. ​Our pigs have been fed goat-whey from our own goats, acorns from this abundant acorn-year, an organic grain ration, and have out romping in and rooting up our pasture all the summer! We're raising a cross between two highly-regarded meat breeds: Mangalitsa--known for their amazing fat and exceptionally flavorful meat, and Red Wattle a rare breed from Texas known for flavorful meat and good size. Together, these breeds have made truly incredible animals, and exceptional pork! What: A box full of a variety of our farm's finest proteins. Four boxes in total. When: Beginning November 1st, and then every other week for 8 weeks. Where: Pick ups will be at Beaver Island Brewing Company in St. Cloud, MN. How much: $200 total, so about $50 a week! *Eggs will be fresh, all other products will come frozen for use at your convenience.